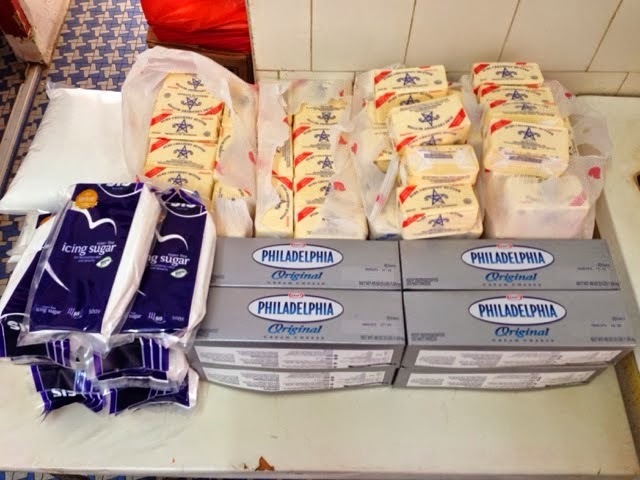 The Baking Biatch || by Cynthia Lim: SCS Butter Giveaway! As you may already know, I am a fan of SCS Butter. I've been very blessed to be given this set of SCS baking kit from the lovely team behind SCS Butter. I can't wait to start using it when I move into our new place which we will be renovating soon. 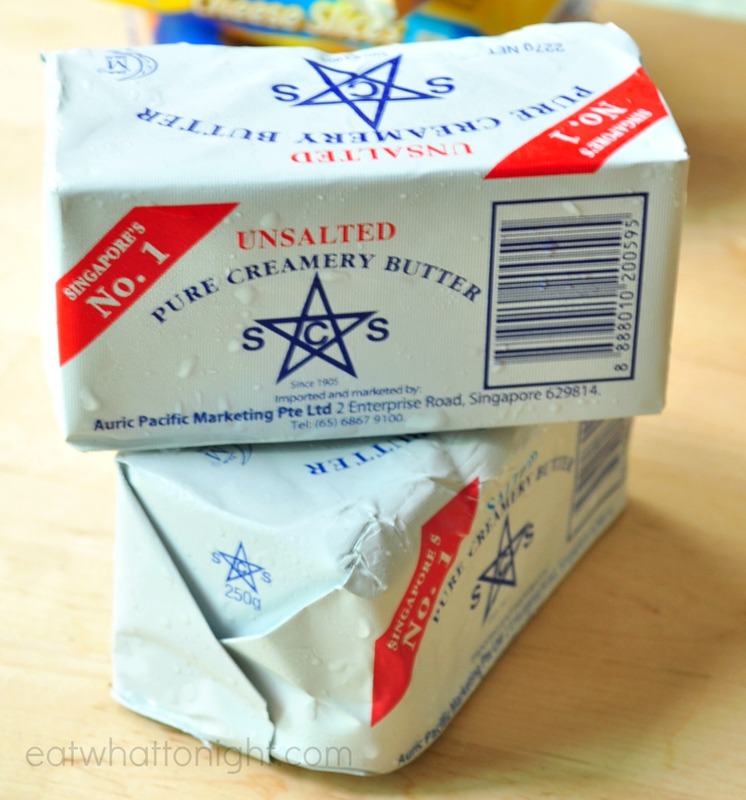 That aside, SCS butter has been one of my top choice when it comes to butter for baking. Since I've been very blessed, I'd like to in turn bless 3 readers of mine. I'm giving away 3 sets of 5 blocks of SCS unsalted butter (worth $24.75 each)! This giveaway is open only to readers in Singapore. Self-collection will take place in the 2nd week or 3rd week of April from my place in Tampines OR at Suntec on weekends (depending on my schedule). Giveaway will close on 5th April, Saturday, 2359 hours. And thanks for the overwhelming participation in this SCS Butter Giveaway! Do keep a lookout for the next giveaway coming real soon! Labels: SCS Butter Giveaway!, The Baking Biatch Butter Giveaway! I would like to win them!! Oh my I'd love this! SCS butter also one of my top choice too! Tks for e giveaway in advance! heehee..
Esp: Cynthia's Mango Cheesecake! hehe. I want them butters too! SCS butter is my favourite choice for baking, hope to win those butter and thank-you for sharing! I would loved to win the butter! I want to be one of the winner! Hope to win the butter for my sec school girl whom likes to bake so much and following your recipes always. Thanks in advance for the givesaway. I wish to win this for my bakes! I love SCS butter. My first choice when comes to baking. SCS butter is always my first choice! Thanks for the generosity. Bless day ahead! “It is more blessed to give than receive” (Acts 20:35). Whoo! I love to have them to bake more cookies and cupcakes with my girl... thanks a million. .. Please let me bake with these butter! I have been using SCS butter since school days. Love to bake, cook or spread them on my bread and they taste so delicious. Cynthia, I love SCS butter too! SCS is my 1st choice when comes to baking or making my fav kaya butter toast! I would love to have some butter!! I would love them to have the butter. Thanks for blessing your readers and God bless! Hi, I would love to win a set! LOVE the favour of SCS, a MUST choice for my baking. So nice of you to share with us SCS. :-) I always choose SCS as my 1st choice for my baking. Awww so sweet of you... im keen to win the sets of scs butter! SCS Butter makes the best cookies! Love the butter esp with baking and cookings. Your cheese cake creations are a true inspiration for me, who have just completed my first ever no-bake cheese cake for my wife and sons! Thank you! I use SCS butter for all my baking too!!!!! Would love to win the butter! Hi Cynthia, love your bake and love SCS butter! Am a fan of scs too! Give me some!!! I can make lots of yummy scones and cheesecakes!! Hi, Cynthia. Hope your house renovation goes well. Just to let you know that you are really an inspiration especially to those who love to bake. Thank you for sharing with us on your recipes, your life experiences and for the giveaways which make your fans excited, that's really thoughtful of you. Perfect for another batch of croissants! I love using SCS butter to bake too! Hope to win this! Your baking recipes are awesome! I loved to bake for my family and friends. The joy to see them finishing the food is tremderous. I loved to baked for my family & friends. The joy to see them enjoying their food is words that cannot be described. Lovely to have these 5 blocks of SCS Unsalted Butter to bake my foodies for everyone beside me. Sharing my bake with everyone is my enjoyment & satisfaction. I hope I can win the butter as I'll be baking cupcakes for my god-daughter. I love SCS butter too! I would like to win the SCS unsalted butter! Hope to win this so I can use it to bake a cake for me and my hubby coming anniversary!